In this specification comparison article, we put the newly launched Yamaha MT-15 naked performance bike vs KTM Duke 125, the baby Duke. Yamaha MT-15 has been launched in India at a price of Rs 1.36 Lakhs (ex-showroom). It is a naked streetfighter based on the fully faired R15 V3. Yamaha R15 V3 was the most affordable performance bike till now, until came the KTM Duke 125. Now, the baby Duke is the most affordable performance oriented. But, Duke is a naked bike and R15 is a pure sports bike. So, now, as the MT-15 comes into play, it fit as a perfect competitor for Duke 125. Both are naked bikes with performance on their mind. 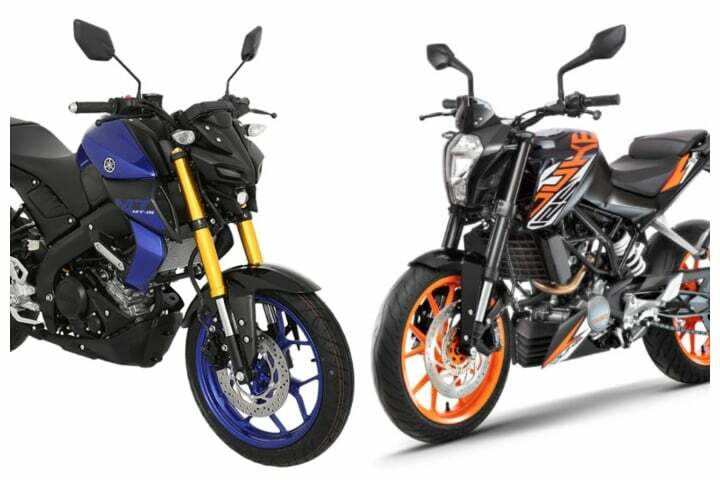 So, let’s put Yamaha MT-15 against KTM Duke 125 to know which one is a better choice. 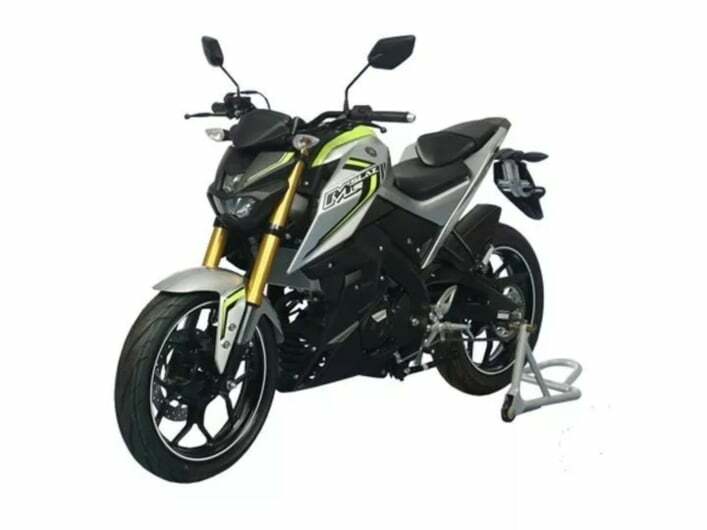 MT-15 is priced in a similar range of R15 V3, at around Rs 1.36 Lakhs. The Duke is priced at Rs 1.18 Lakhs, making it a cheaper option. Difference between both the bikes is of Rs 18000. But you get a bigger and more refined engine. 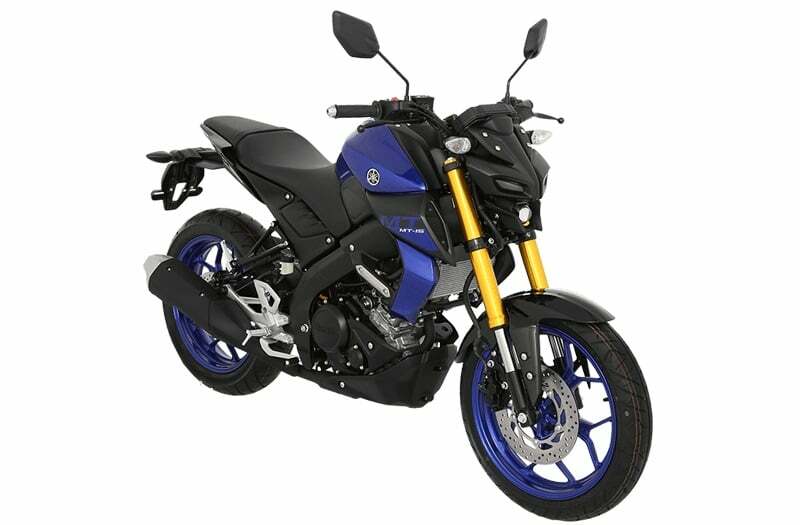 MT-15 gets the 155cc liquid-cooled SOHC engine with Variable Valve Actuation (VVA) system. The engine produces 19.3 BHPand 14.8 Nm of peak torque. It is mated to a 6-speed gearbox with slip and clutch assist. Duke 125 gets a smaller 124.6cc liquid-cooled engine that produces 14.5 BHP and 12 Nm of peak torque. Duke also gets a 6-speed gearbox. Obviously, MT-15 will deliver higher power figures. A regular 150cc motorcycle would deliver power figures nearing to Duke 125. But the VVA system swoops in to deliver more power. We expect MT-15 to deliver the same mileage as that of R15 V3, up to 50 kmpl on an average. With a fuel tank capacity of 10 litres, we can expect a riding range of around 500 kms. We expect the top speed to touch 131 km/hr. Duke 125 gets a slightly bigger fuel tank of 10.2 Litres. With the estimated mileage of 48 kmpl, the riding range of this bike should also be nearing 500 kms. The top speed achievable on Duke is 110 km/hr. If compared properly, there are only 2 major differences. R15 has an edge over here with dual-channel ABS and LED headlamps. MT-15 is 1965mm long, 800mm wide and 1065mm tall. The ground clearance stands at 155mm and wheelbase at 1335mm. It weights 133 kgs in total, which is comparatively a lot lesser. The seat height remains slightly tall at 810mm. Duke 125 is 1993mm long, 789mm wide and 1083mm tall. It gets a ground clearance of 175mm and a wheelbase of 1330mm. Duke 125 is heavier than R15 at 148 kgs. Moreover, its seat height is even taller at 818mm. MT-15 Thailand-Spec gets gold anodized USD Forks at the front. However, the Indian version gets telescopic forks at the front and a rear mono shock at the back. For braking purposes, it uses Front and Rear Disc brake with Single-channel ABS. 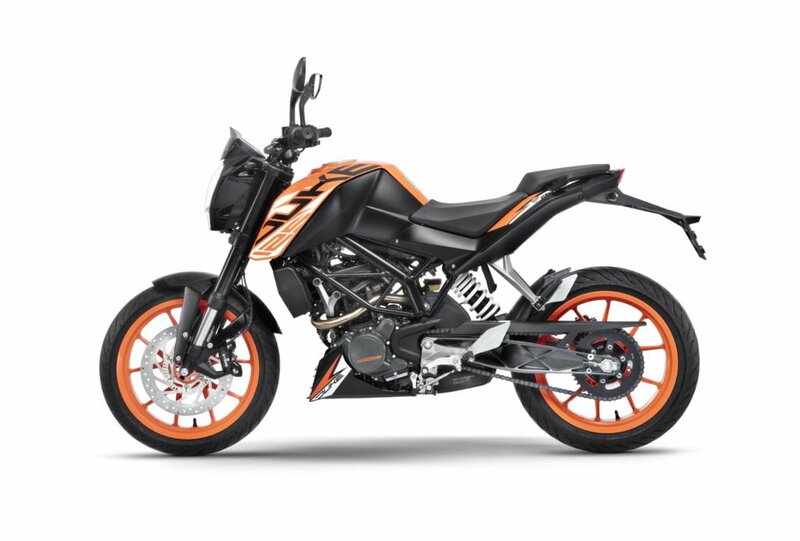 Duke 125 gets Upside-Down forks at the front and a rear mono shock at the back, just like Duke 200. It gets front and rear disc brakes with a single-channel ABS for braking. Here, it misses out on the rear ABS and gets Rear Lift-Off Protection instead. Talking about the design, MT-15 looks a lot like the elder MT motorcycles. The typical aggressive and muscular styling paired with sharp creased body will attract a lot of people. 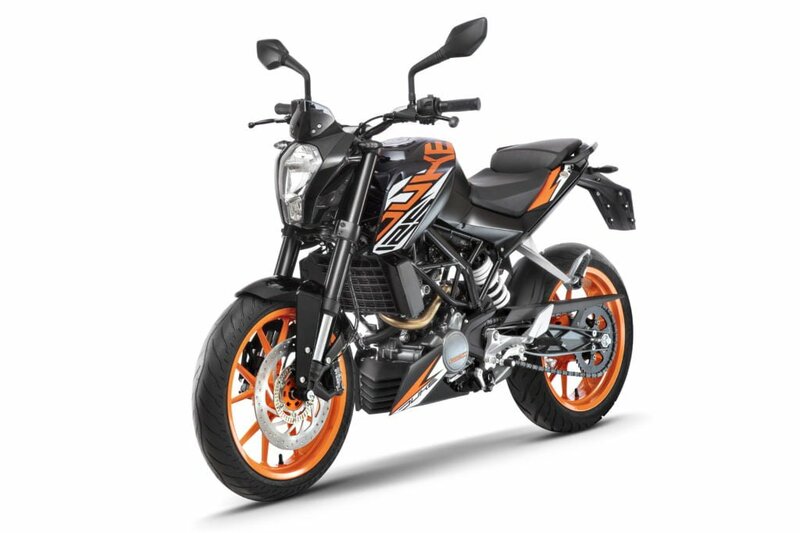 On the other hand, Duke 125 still follows the teenage dream with loud decals, funky graphics and the orange alloy wheels. It does not mean that Duke 125 looks boring. Duke 125 certainly is amongst the most styling motorcycles under Rs 1.5 Lakhs. Summarizing, MT-15 looks a bit mature which will attract the millennial as well as a mature buyer. Duke 125 will find more buyers in the youth, probably under the age of 25. Going by the engine specifications and the price speculations, we believe MT-15 will give a tough competition to Duke 125. The pricing range is not that different and so are the power figures. The feature list is also similar, with Duke missing out LED lights and rear ABS. However, Duke still gets a advantage over MT-15 because of its trademark exhaust note. That’s what a lot of people are mad about.